We are affliated to the Association of Christian Schools International. Our matrics write the IEB Exams. 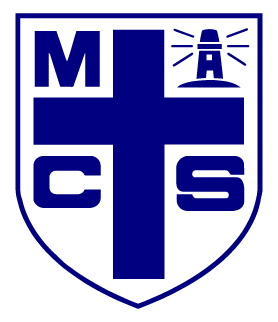 MCS was founded in 1987 as a non-denominational, co-educational, multi-racial, Christian primary school. 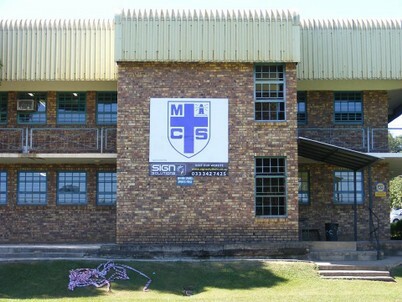 The high school opened in 2001 and our first matriculants wrote in 2005.We are a small, connected school, with a strong pastoral emphasis alongside the academics and sporting pillars that provide the foundations that young people need to mature spiritually, mentally and physically. Class sizes are limited to 26, and with no more than two classes per grade, every child is known. The opportunities for young people to develop in various, unique directions are supported in every dimension, and learners are intrinsically involved in leadership at every appropriate opportunity, from leading worship, the SRC, Prefectship, to sports teams, under the mentorship and guidance of a dedicated Christian staff. Currently, we are situated on the premises of Maritzburg Christian Church, but we have very real plans to expand onto our own premises, and to build on the promises that God has given us. Our most recent prophetic word received from a group of visiting Canadian Teachers came in the form of three words: Expand Persevere and Now. We were encouraged to keep persevering as God had seen our perseverance and we were to keep trusting in Him for the future of our school. God was going to expand our school in the eyes of the city and He was going to do a mighty work immediately. Since those words MCS has experienced an increasing measure in the wonderful work of God in our school: worship during assembly has been raised to a new and exciting level (this is difficult to explain, but worship seems more intense, intimate and sincere), learners and staff are increasingly operating in the gifts of the Spirit; and we have experienced an increase in salvations and the number of learners who function in the five fold ministries. Although we don’t associate blessing with ‘things’, we have also seen the marvellous provision of our needs since that last prophetic word: MCS now has a brand new bus, 7 additional classrooms, a dedicated media-centre, new ablutions, a dedicated hall for assemblies, 14 additional computers, a dedicated staff room and fully equipped science lab. All these added during the past 6 months! As a community we acknowledge that all we have and are is by the grace of God. We therefore acknowledge the sovereignty of our Lord Jesus Christ over our school.